We absolutely love the color gold. 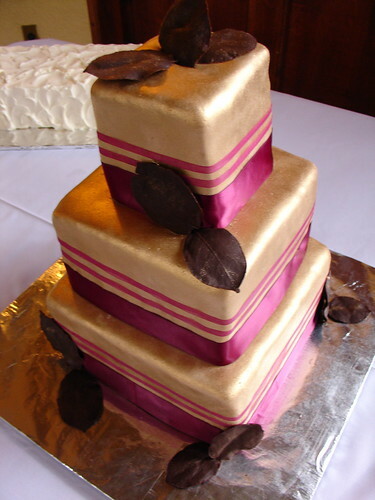 To us, the color gold helps confer a royal elegance onto the bride that no other color can do quite as well. Gold tones also look great on tanned and olive (South Asian) skin tones. For today's blog article, we focus on stylish and modern gold orange bridal lehngas that we have come across recently. These are really beautiful picks indeed. 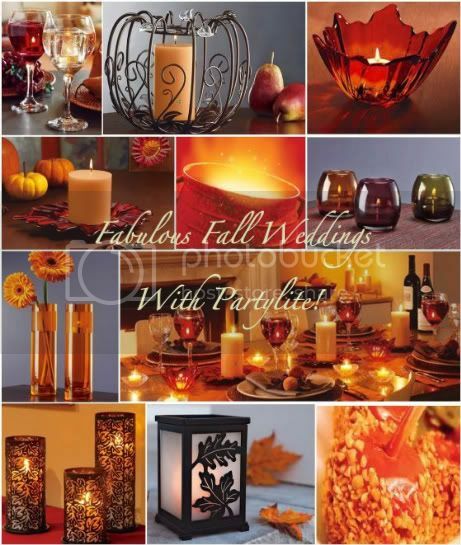 Also, featured is an inspiration board of gold orange colored accents that can be incorporated into your wedding to create a gold orange theme. Hope you are inspired by gold orange color! We all know that gold symbolizes wealth, but did you know that it is also the symbol of good health? It is said that people who favor the color gold are optimistic. What better time to wear gold than at your wedding - when there is an ovewhelming optimism for your impending marriage with your husband and the happy years to be spent. Orange is considered a power color; also a healing color that stimulates enthusiasm and creativity. Orange means vitality with endurance. Now, while red is associated with fiery heat, orange is associated with the warmth of the sun. A dynamic color to be sure, orange offers a more thoughtful control than explosive red. Curiosity is a driving characteristic of orange, and with it comes exploration of new things. How interesting is that? 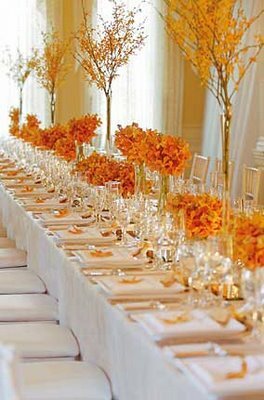 Now are these not reasons enough to consider a royal gold orange themed wedding?! Elaborate little boxes for your guests - certain to make an impression. where you can place cake or a sweet treat. Muted Gold Backdrop for Bridal Party (Head) Table. 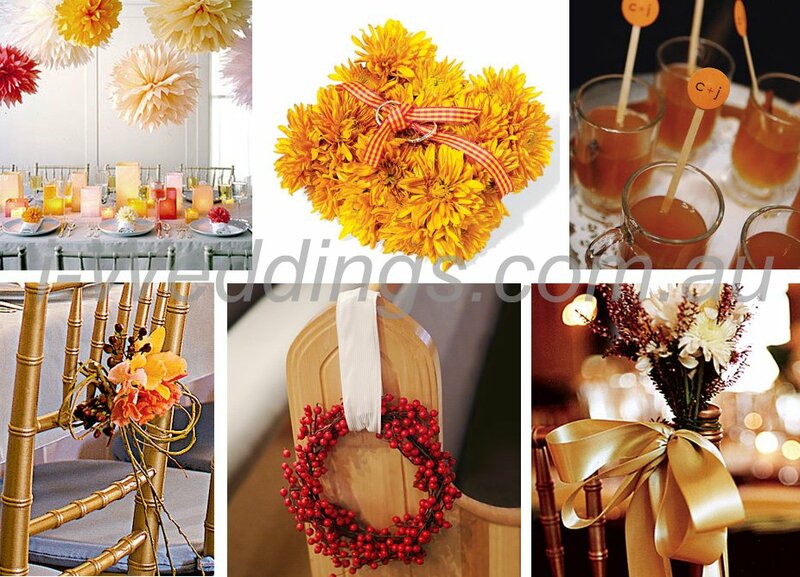 Beautiful Lively Gold Orange Table Decorations. But Appropriate At Other Times Too.